Craig Seaman of Long Lake Real Estate helped my wife and I find and purchase our Adirondack lake house. Craig was a steady hand, offering timely and sound advice at each step in a search that covered multiple years and several Adirondack lakes. The level of attention that was given to our search exceeded all expectations and Craig’s local knowledge was invaluable. I recommend that anyone considering the purchase of an Adirondack property should contact Long Lake Real Estate and speak to Craig Seaman first. When we decided to relocate our family to Long Lake, we picked up the phone and called Long Lake Real Estate out of the blue. Craig Seaman answered the phone that morning and was there for us and with us every step of the way. He was available by phone, text or email 24/7, and Craig’s help and knowledge made buying a home in a new area so much easier. Craig was an advocate for us from the very beginning right through the closing, and beyond, and he put us in touch will all the right people along the way. When we came up to look at properties he took us to every last place that we wanted to see, and even to one that we hadn’t considered, because he knew the house and thought it would be a good fit. It turns out, that was the right place for us. We really appreciate all of the hard work that Craig put into our purchase. I appreciate everything that Craig did to help us find our home in the Adirondacks. He is a delight to work with. He is very knowledgeable of the area and its history. 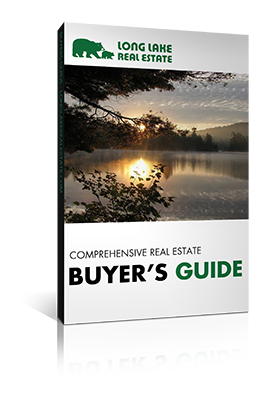 He showed great patience when the sellers became difficult and helped coordinate the efforts of the other agents and lawyers to get the sale done. His knowledge of the local businesses provided us with several great leads for people to help with issues during and after the sale. I feel privileged to have worked with Craig because I did not only gain a house, but also a friend in the area. This is our second time working with Craig Seaman at Long Lake Real Estate and both experiences have been enjoyable. Craig helped us buy some land at the northern end of Long Lake and more recently helped us purchase a small, lakeside cottage. Craig is a native Adirondacker so he knows a great deal about the area, which can be very helpful when you are evaluating different properties. In addition, he was friendly, responsive and efficient and both closings went off smoothly. Craig is much more than our real estate agent – he is also a friend. Recently, I was locked out of our new cottage and Craig came to the rescue – leaving his busy office to help me. 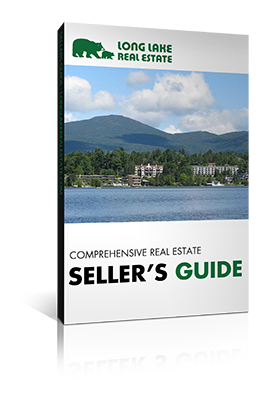 We wouldn’t hesitate to recommend Long Lake Real Estate to a friend or anyone looking to buy real estate in the Adirondacks. Dear Craig, A high point of owning property in Long Lake has been our association with you. In my career Ive had the pleasure of working with some wonderful, professional people and you are on top of my list of capable people with whom Ive enjoyed interacting over these last eight years. When I think about people that I enjoy dealing with, I think of you. Someone who always does what you say you will do, someone who is competent in your skills, and someone who always deals with decency and honesty. reference if I can ever be of assistance. I just wanted to drop you a line to say what a pleasure it’s been working with you and LLRE over the years. We love Long Lake and have been bringing the kids there for years now, and your dedication and excellent service has been a big part of that. Thanks again for making our vacation memories so great! Having enjoyed our grandparent’s family camp on Lake Eaton since 1958, Rita and I decided we wished to spend more time at the lake than a shared property could afford. Craig worked patiently with us during our summer vacations for 3 years, helping us to formulate and understand our desires. After having looked at many properties in the Long Lake area, we received a call from our friend Craig on a Friday afternoon in October 2009. The “right” property had come on the market – and Craig knew it. We drove up the very next day and knew within minutes that this was the place for us. Craig is knowledgeable, trustworthy, friendly, and easy to work with. Thanks, Craig, for a delightful experience. This will be our 5th year renting through your agency. I can honestly say we are truly satisfied with your agency and its service. Communication is the key when your renting from many miles away and I have always known where we were in the process. Even when we had some difficulties, your agency was able to make it right for myself, my family and our vacations! We will be up soon to drop the check for our August rental and spend a weekend at Lake Eaton towards the end of June. We have always been able to count on Long Lake Real Estate when it comes time to vacation in the Adirondacks. We have found them to be prompt, reliable and always friendly to work with. Kimberly especially has taken the time to answer my many questions about rental houses. She is thorough and helpful and really tries to match the houses to our family’s needs. I’ve always appreciated being able to call or email with Long Lake Real Estate in a timely manner. Vacation planning can be time consuming and sometimes stressful but that’s never been a problem for us. And of course, once you get to the Adirondacks, Long Lake Real Estate is there to make your stay a great one! My husband and I bought a house in Long Lake and Craig Seaman was our real estate agent. We got quality service from Craig. He was attentive to our needs and really took the time to help us find our home. Craig really knows Long Lake and was able to answer all of our questions as well as make wise recommendations. Craig is honest, very personable and extremely professional. It was a really positive and pleasurable experience working with Craig – and we are just thrilled with our home! Sue Virostek was exactly what we were looking for in a realtor. My husband and I had decided we were going to move to the Adirondacks upon his retirement. We had some specific needs in a house and Sue tirelessly worked on finding a home to suit our needs. She was patient and knowledgeable through the whole process. We love our ADK home! In 2002 I purchased my home in Long Lake through Long Lake Real Estate. They helped in every aspect of the transaction, from the contract through inspection through to the closing. It was at that time I met Craig Seaman. Over the next twelve years Craig helped us with contractors, simple maintenance tips, and even provided caretaking services for the winter months. He and I often would just sit down to talk about the market, the economy, the weather, and our children’s sports teams. In other words Craig was more than our realtor, he was our friend. He and his team rented our house in summers we were to busy to use it as often as we liked, and he treated it as if he was renting his own home. So when I was relocated and we had to sell our beloved home there was no one else we trusted to represent us. Faced with a very difficult market Craig did all he could to sell our home – advertising in all of the key home brochures, and talking up our house to every person that walked through his door. And we were ultimately successful in our sale, bittersweet though selling was. Long Lake is a wonderful community, close to skiing, golf, hiking, and everything the Adirondacks has to offer. And for us the best way to join the Long Lake community is to work with Craig Seaman and Long Lake Real Estate. My family was so lucky to have found Craig Seaman and Long Lake Real Estate. Coming from New York City, we were a bit jaded about the realty business. Craig restored our faith. He is honest, caring, smart, responsive and has profound integrity. A true Long Laker with deep, long-standing roots in his community, he holds his business to the highest standard. He matched us with our dream home and, for that, we will be forever grateful and indebted. We look forward to knowing and working with Craig for many years to come. There’s nobody better—it’s that simple! Buying a home and working with Craig Seaman at Long Lake Real Estate was a terrific buying experience. Craig’s vast knowledge of the area allowed us to find the right home for our family and he helped throughout the entire closing process from start to finish. The staff at Long Lake Real Estate is friendly, helpful, and knowledgeable. Since we purchased the house in 2009 Craig has been the caretaker of our property. Craig has been there for my family on numerous occasions whether its responding to address small issues, keeping the driveway clear for winter oil deliveries, and just providing peace of mind. Craig is someone we can trust with our home and someone I would recommend to help you with your home purchase. My family and I have always had a dream of owning a cabin on a lake in the Adirondacks. I was given the name of Craig Seaman from a friend who lives in our area who had used Craig. I had told Craig what we were looking for and our budget. He was always honest and forthright and never tried to sell me more than I could afford. He ended up finding us the perfect cabin on a cove on Long Lake. Craig and Long Lake Real Estate now take care of my cabin. I never worry that the home is being ignored as Craig keeps me informed as to every little issue that needs to be taken care of to avoid bigger problems. When I hired Craig and Long Lake real Estate I not only got a great realtor and real estate agency, I also made a friend that I can count on and trust in the community. 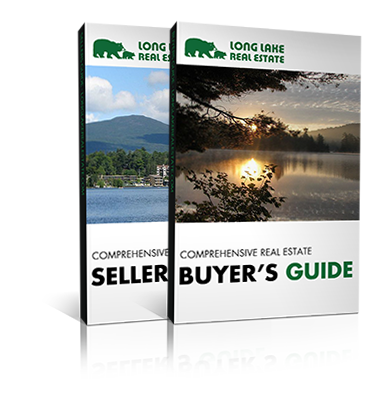 I strongly recommend Long Lake Real Estate to anyone looking to purchase property in the Adirondacks.